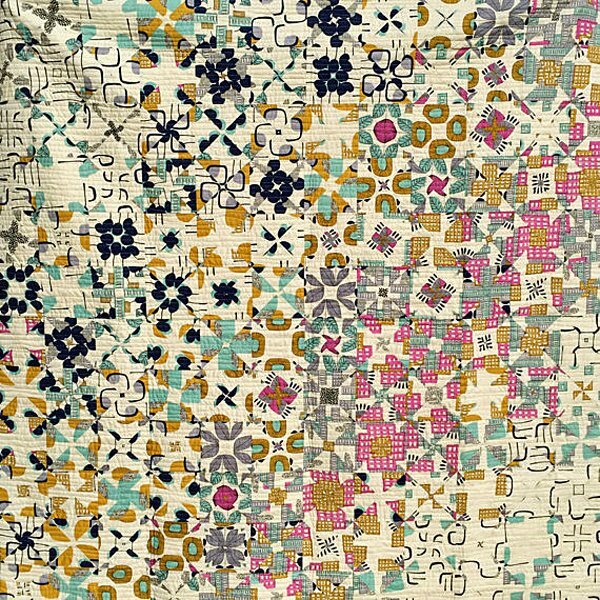 With only one fabric, one block and one shape you can create a stunning quilt. Use a simplified stack-n-whack technique and arrange the blocks the way you want them. Here's your chance to use a print with a 22" to 24" repeat and plenty of negative space.